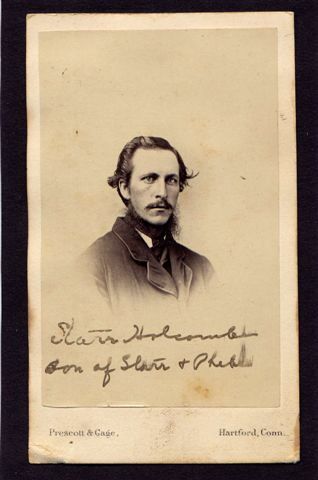 Miriam Stevens married Shadrack Moore, son of William Moore and Damaris Phelps. Starr and Phebe were enumerated in the 1850 Granby, Hartford Co., CT, census, roll 39, page 158, as a farmer, with Phebe, Hubert, Adelaide, Halsey and Luzerne. Starr and Phebe were enumerated in the 1860 Granby, Hartford Co., CT, census with Adelaide, Starr, and Luzerne. Starr and Phebe were enumerated in the 1870 Granby, Hartford Co., CT, census with Halsey, Alice (Halsey's wife), and Luzerne. [S23] Jesse Seaver, The Holcomb(e) Genealogy, Page 90. [S25] Hannah McPherson, Holcombe Genealogy, Page 128.2/Item A-8-1-2-6-6-5. [S164] Carol Laun, Holcombe Collection, Page 46. [S161] Carol A. Laun, Granby Center Cemetery, Page 94. [S178] Christina Bailey and Lorraine Cook White, Barbour: Granby, Page 119. [S164] Carol Laun, Holcombe Collection. Phebe is a Mayflower descendant. "Starr" and Alice were enumerated in the 1880 Granby, Hartford Co., CT, census with children Nathaniel and "Infant Daughter". H. Starr Holcombe, 80 years old, died today (7 May) at his home, after a long illness. He leaves a wife, a son, Nathaniel Holcombe; a daughter, Mrs. William Shattuck, also nine grandchildren. The funeral will be held Monday afternoon at 2 o’clock at his home. [S25] Hannah McPherson, Holcombe Genealogy, Page 128.2/Item A-8-1-2-6-6-5-6. [S161] Carol A. Laun, Granby Center Cemetery, Page 95. [S25] Hannah McPherson, Holcombe Genealogy, Page 129.1/Item A-8-1-2-6-6-5-6-2. [S161] Carol A. Laun, Granby Center Cemetery, Page 34. 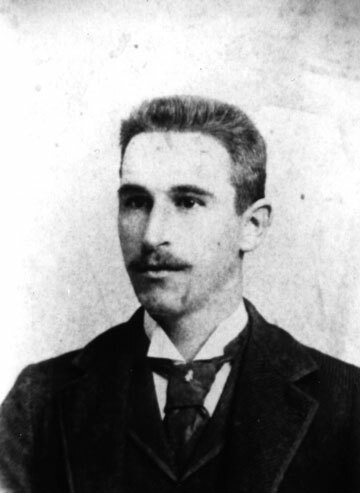 William Shattuck was born on 19 September 1864 at Great Barrington, VT. He was the son of Aaron Draper Shattuck and Marion Colman. William Shattuck married Jessie Alice Holcombe, daughter of Halsey Starr Holcombe and Alice Josephine Griffin, on 19 October 1898. Wyllys Wright was born on 24 November 1777. 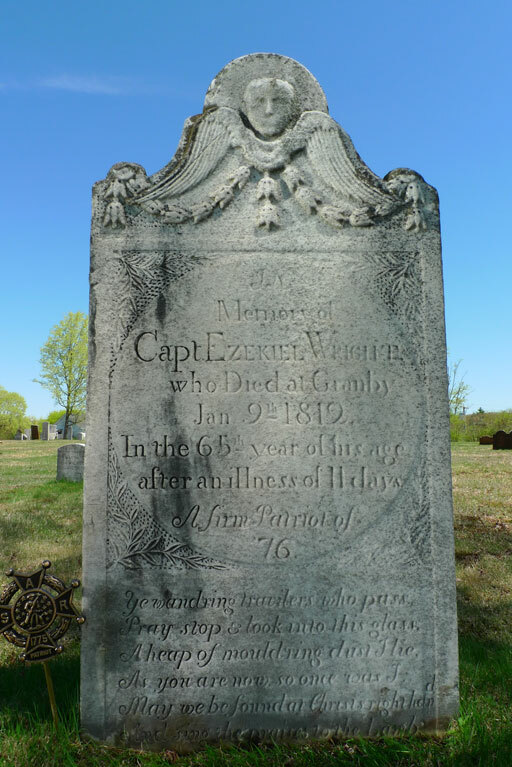 He was the son of Ezekiel Wright and Phebe Smith.1 Wyllys Wright was baptized on 10 May 1778 at Sandisfield, MA.1 He married Rhoda Chapman, daughter of William Chapman and Mary Banning, on 30 June 1802 at Hartland, Hartford Co., CT.1 Wyllys Wright died on 20 April 1854 at Hartland, Hartford Co., CT, at age 76.1 He was buried at Wright Family Cemetery, East Hartland, Hartford Co., CT.
Ezekiel Wright was baptized on 25 August 1751 at Bolton, Tolland Co., CT.1 He was born on 22 April 1753 at Plympton, Plymouth Co., MA.1 He was the son of John Wright and Mary Coomer.2 Ezekiel Wright married Phebe Smith, daughter of Isaac Smith and Mary Sparrow, on 2 February 1775 at East Hampton, Middlesex Co., CT.1 Ezekiel Wright died on 9 January 1812 at Granby, Hartford Co., CT, at age 581, and was buried at Center Cemetery, Granby, Hartford Co., CT.
[S466] The General Society of Mayflower Descendants, George Soule, 68,676. 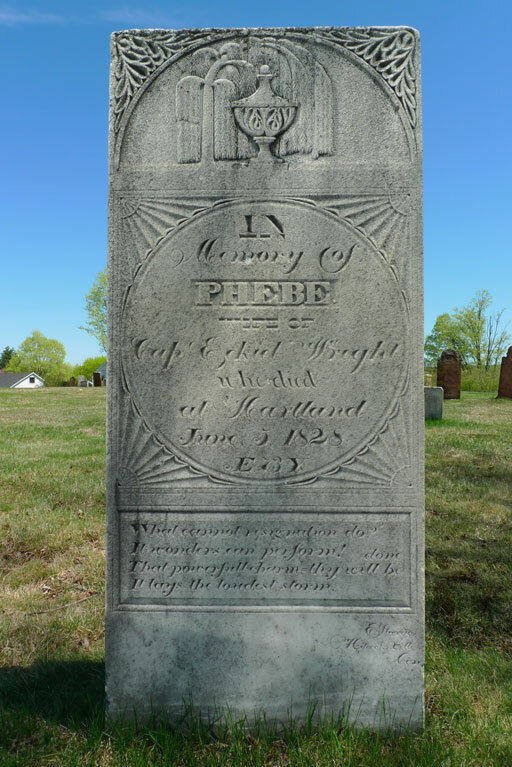 Phebe Smith was born on 22 April 1753 at Middletown, Middlesex Co., CT.1 She was the daughter of Isaac Smith and Mary Sparrow.1 Phebe Smith married Ezekiel Wright, son of John Wright and Mary Coomer, on 2 February 1775 at East Hampton, Middlesex Co., CT.1 Phebe Smith died on 5 June 1826 at Hartland, Hartford Co., CT, at age 731, and was buried at Center Cemetery, Granby, Hartford Co., CT.
Richardson Griffin was born on 22 November 1812. He was the son of Aristarchus Griffin. Richardson Griffin married Julia Ann Viets, daughter of Dan Viets and Beula Phelps, on 13 April 1837. 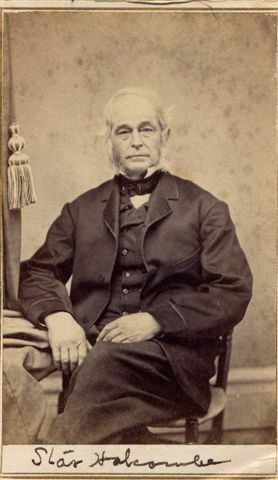 Richardson Griffin died on 21 May 1898 at age 85. 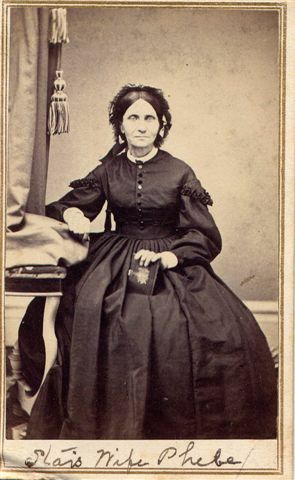 Julia Ann Viets was born on 17 August 1816 at Granby, Hartford Co., CT. She was the daughter of Dan Viets and Beula Phelps. Julia Ann Viets married Richardson Griffin, son of Aristarchus Griffin, on 13 April 1837. Julia Ann Viets died on 26 May 1897 at age 80. [S208] Dorothy Dean Viets Schell, Viets, Page 109/Item 162. In the 1920 census, page 3A, line 38, of Granby, CT, "Nathaniel Holcomb" is listed as age 48, a tobacco farmer. His wife "Etta" is 44, son Howel M. is 21, son James S. is 20, son "Luzern C." is 18, and son "Maynard W." is 16. Nathaniel and Etta were enumerated in the 1930 Granby census, page 5B. He was a farmer, age 58, she was 55. 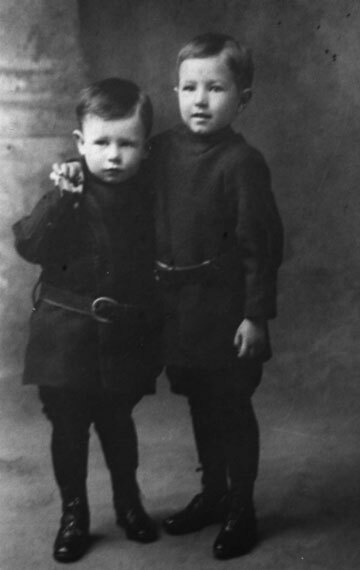 Children in the household were Howell 32, and Maynard 26. Nathaniel's mother, Alice J, age 80, widowed, was also in the household. Nathaniel and Etta were enumerated in the 1940 Granby census. He was a farmer, age 68, she was 65. The only child in the houisehold was Howell, 42, a farmer. [S25] Hannah McPherson, Holcombe Genealogy, Page 128.2/Item A.8.1.2.6.6.5.6.1. [S239] Dororthy Dean Viets Schell, Viets Female, Page 102. Henrietta Elizabeth Howe also went by the name of Etta Howe.1 She was born on 16 January 1875 at Beekmantown, Clinton Co., NY.2,1 She was the daughter of James Gamaliel Howe and Briget M. O'Grady. Henrietta Elizabeth Howe married Thomas Nathaniel Holcombe, son of Halsey Starr Holcombe and Alice Josephine Griffin, on 17 October 1894 at Beekmantown, Clinton Co., NY.2,1 Henrietta Elizabeth Howe died on 22 August 1970 at East Hartford, Hartford Co., CT, at age 95.3,1 She was buried at Center Cemetery, Granby, Hartford Co., CT; Lot II-216. A farmer who loved milking his cows. James and Eva were enumerated in the 1930 Granby census, page 5B, living next door to his father. He was a farmer, age 30, she was 21. James and Eva M. were enumerated in the 1940 Granby census. He was a farmer, age 40, she was 31. The only child in the household was James G. 9. [S164] Carol Laun, Holcombe Collection, Pages 107-112. [S182] Social Security Death Index (on-line), Ancestry.com, SSDI, Ancestry.com, SSAN 042-30-7397. Luzeren and Marion were enumerated in the 1930 West Hartford, Hartford Co., CT, federal census, district 229. He was 28, she was 23. [S25] Hannah McPherson, Holcombe Genealogy, Page 129.1/Item A-8-1-2-6-6-5-6-1-3. [S161] Carol A. Laun, Granby Center Cemetery, Page 93. Maynard and Mildred were enumerated in the 1940 Granby, Hartford Co., CT, federal census. He was a Soda Shop manager age 36, she was 31. The only child in the household was Joyce 2. [S25] Hannah McPherson, Holcombe Genealogy, Page 129.1/Item A-8-1-2-6-6-5-6-1-4. [S182] Social Security Death Index (on-line), Ancestry.com, SSDI, Ancestry.com, SSAN 047-12-8855. Mildred Avena Ledgard was born on 12 December 1908. She was the daughter of Joseph Ledgard and Avena I. Hayes. Mildred Avena Ledgard married Willard Mayard Holcombe, son of Thomas Nathaniel Holcombe and Henrietta Elizabeth Howe, on 16 June 1932 at Granby, Hartford Co., CT.
Mildred is 1st cousin of Marion (Evarts) Holcombe, her brother-in-law's wife. Mildred L. Holcomb, 102, or Windsor, beloved wife for 58 years of the late Maynard W. Holcombe, passed away peacefully on Saturday, (December 18, 2010) at a local convalescent home. Born in Hartford on December 12, 1908, daughter of the late Joseph and Avena (Hayes) Ledgard, she was raised in Hartford and had lived in Granby for many years before moving to Windsor 68 years ago. Mildred ran the Granby Soda Shoppe with her husband in the 1930's and 1940's and after moving to Windsor, she worked at the Harry Clark insurance Agency. 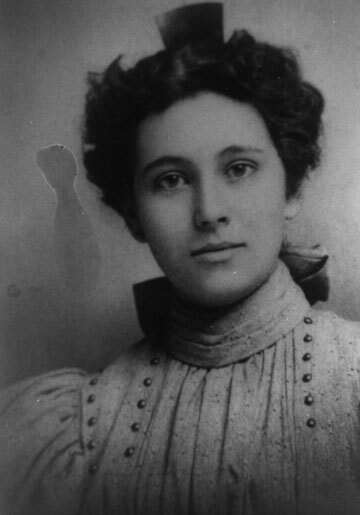 She later became an antiques dealer and traveled to antique shows all over Connecticut buying and selling various items. In her spare time, Mildred enjoyed painting and putting together scrap books with pictures of her family and friends. She also enjoyed watching the Boston Red Sox and eating her favorite snack, chocolate and Coca-Cola. She leaves a daughter, Joyce Lange and her husband Walter of Windsor; three grandchildren, Jeffrey Lange of Florida, Joel Lang and his wife Laurie of Windsor, and Amy Willard and her husband Stephen of Windsor; six great grandchildren, Anna, Elisabeth, Sarah, Josiah, Isabella and Davina; and three special friends, Jim Gronda, Edmond Holcombe, and Florence Lang. A funeral service will be held today, Monday, December 20, 2 p.m., at the Carmon Windsor Funeral Home, 807 Bloomfield Ave., Windsor. Burial will follow in Granby Cemetery, Granby. Her family will receive friends today, Monday, December 20, 1 - 2 p.m., prior to the service at the funeral home. The family would like to extend a special thanks to the nurses and staff at Windsor Rehabilitation for their care and support during this difficult time. Memorial donations may be made to the Windsor Public Library, 323 Broad St., Windsor, CT 06095. Marion was a Girl scout leader and member of the Ruth Wyllys Chapter fo the DAR, who with cousin, Mildred, are eligible on their maternal sides to membership in "Mayflower Descendants" and "Founders of Hartford, CT". [S208] Dorothy Dean Viets Schell, Viets, Page 57. [S182] Social Security Death Index (on-line), Ancestry.com, SSDI, Ancestry.com, SSAN 040-38-7713. Ava Valdson was born circa 1945 at Helsinki, Finland. She died on 6 May 2007. Ava (Valdson) Holcombe, 62, of Burlington, beloved wife of Thomas E. Holcombe, passed away Sunday (May 6, 2007). Born in Helsinki, Finland, she had lived in Hartford before moving to Burlington 33 years ago. Besides her husband, she leaves a sister-in-law and brother-in-law, Mary and Richard Heywood; and two nieces, Alice and Sarah Heywood, all of Wethersfield. A graveside service will be held on Thursday, May 10, at 11 a.m., at the Granby Cemetery, North Granby Rd., Granby. There are no calling hours. Hayes-Huling & Carmon Funeral Home, Granby, has care of the arrangements. [S182] Social Security Death Index (on-line), Ancestry.com, SSDI, Ancestry.com, SSAN 043-44-0115. [S161] Carol A. Laun, Granby Center Cemetery, Page 55. [S161] Carol A. Laun, Granby Center Cemetery, Page 55,. Natalie Faith Ware was born on 23 May 1930 at Brookline, NH. She was the daughter of Alfred Raymond Ware and Edith Hughes. Natalie Faith Ware died on 13 October 1998 at at home, Granby, Hartford Co., CT, at age 68.1 She was buried on 16 October 1998 at Halsey Starr Holcombe Plot, Granby, Hartford Co., CT.
[S182] Social Security Death Index (on-line), Ancestry.com, SSDI, Ancestry.com, SSAN 006-28-9321.